Comments: Comments Off on My 2014 Fearless Forecast! 3 Bengals Dalton is not the answer. He is the problem. 1 Patriots Brady. Do I have to say anymore? 3 Dolphins Can the O move the ball? 4 Raiders The worst team in the AFC. 2 Giants Can Eli be that bad two years in a row? 1 Packers Forget Thursday. Seahawks are just that good. 4 Vikings They did not chose wisely. They are starting the wrong QB. 2 Falcons Injuries killed them last year. Can they stay healthy this year? 4 Bucs Tough division with a questionmark at QB. 2 49ers D issues w/Bowman out and Smith suspension they won’t challenge for the playoffs. 4 Rams Without Bradford they just can’t climb that Hill. 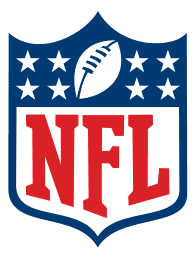 Samantha Bunten of NBC Sports joins me to dissect the first two weeks of preseason games including the Browns/Redskins game and decision on the starting QB. The podcast will be up on https://fryingpansports.com/radio-show/after 6 PM. Join Mr. Moohead and Michelle at 5 PM EDT on http://mooheadradio.com/2.5/ then check in with FSP at 6. Tomorrow night I will be joined by John Tuvey Senior NFL Analyst at TheHuddle.com. We will be previewing 2014 Fantasy Football.